Before you get too excited, we should probably tell you that the Buy It Now price is set at an eye-watering $25,000, which would probably get you a pretty large fish tank and some actual fish to go in it. That said, seller Juppon Gatana is open to offers and it's a fascinating and lesser seen variant of the traditional Dreamcast hardware that even plays games, as shown in the video below. Interestingly, the unit being sold has the code HKS-0300 which kinda puts it in the realm of the HKT codes used on Dreamcast hardware proper (Edit: the owner of the SFL-2000P1 has told us that while it is aesthetically similar, it is not an identical unit and it has slightly different inputs). As discussed in our previous article, both the SFL-2000P1 and Sega Fish Life can play standard GDs and have rudimentary controls on the rear that mimic the Dreamcast controller. There's no slot for a VMU though, so you probably wouldn't want to buy this thing to actually play with it. However, if you've got money to burn and want a unique centre-piece for your Dreamcast collection (alongside your Divers 2000), this should fit the bill nicely. 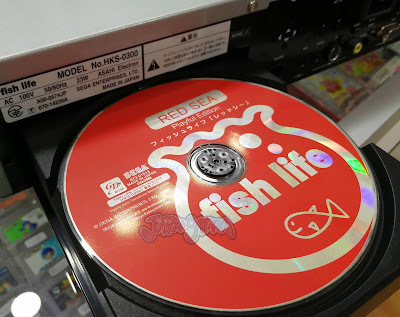 Check out the auction here, or go read up on the Fish Life software at Sega Retro. Not exactly correct. Control Unit model was not designed to be a virtual aquarium. It doesn't even have the ability to connect to the touch panel monitor. Control unit and Fish Life units are different models built for different purposes. They both lack features unique to each other. Thanks - I've edited the article slightly to reflect your comment. Has any further information on the Control Unit been discovered? No. But this new hardware variant sheds some possible new light on the Control Unit model and its fate. Control units that weren't disposed of were perhaps reused and retooled to make these fish life models. Mind you, its only a theory, tho it make alot of sense SEGA would take that direction. It appears from his notes that the ebay seller has 2 of these Fish Life models, tho one lacks the monitor. Very interesting. Has anyone ever dumped the Fish Life GD? Would love to see it in action on my DC. 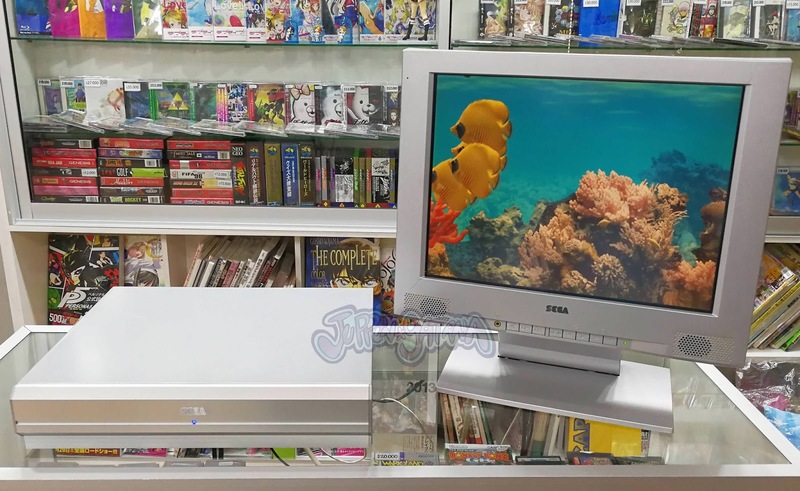 Just asked the owner about trying it on a normal Dreamcast, he says the screen goes black, I suppouse there might be an internal check on the software that verifies if it's the Fish Life hardware before doing something else. If you put the game House of the dead II could use the touching the screen like a gun?